It’s March Madness, but one woman is taking it to another level. With a collapsed lung and heading into surgery on Friday night, the 81-year-old Memphis fan wasn’t going to let the doctors begin until she finished cheering on her Tigers in the NCAA tournament. As she laid on the operating table in the emergency room, the medical staff joined her in watching Memphis beat George Washington 71-66 to advance to the third round. 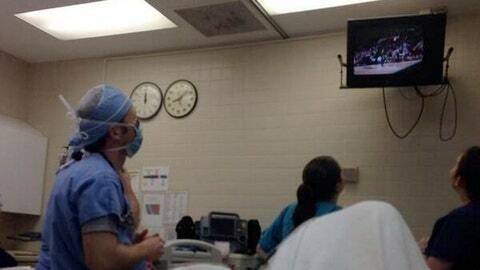 No word on how the surgery went, but hopefully this true fan will be able to see Memphis attempt to upset No. 1 seed Virginia on Sunday.